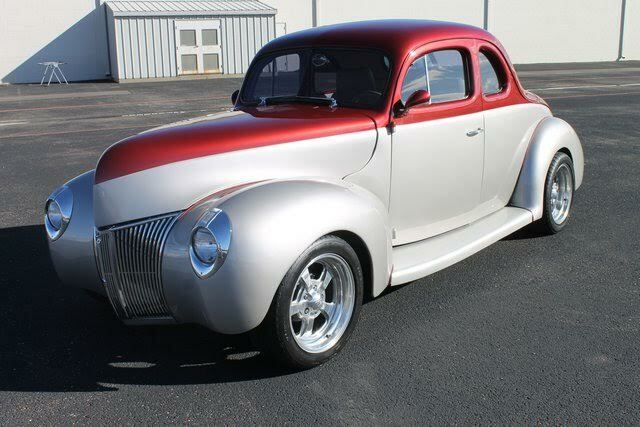 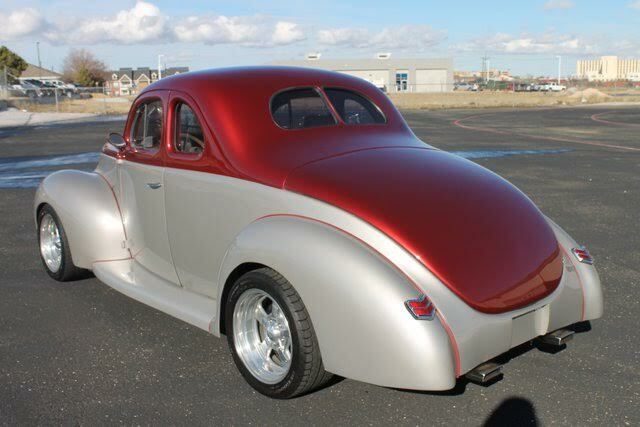 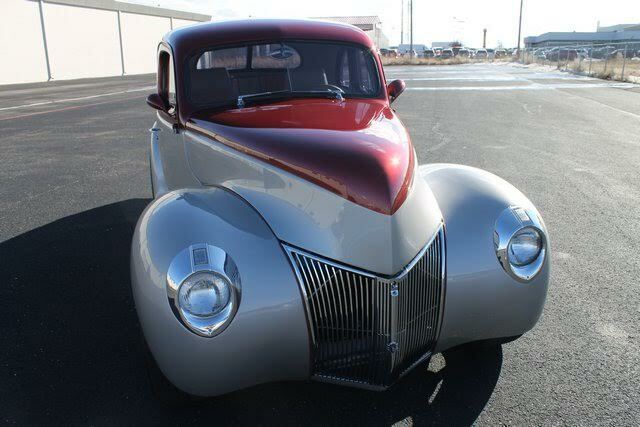 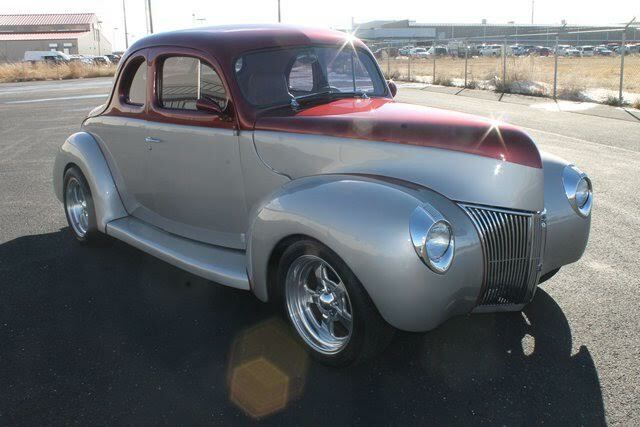 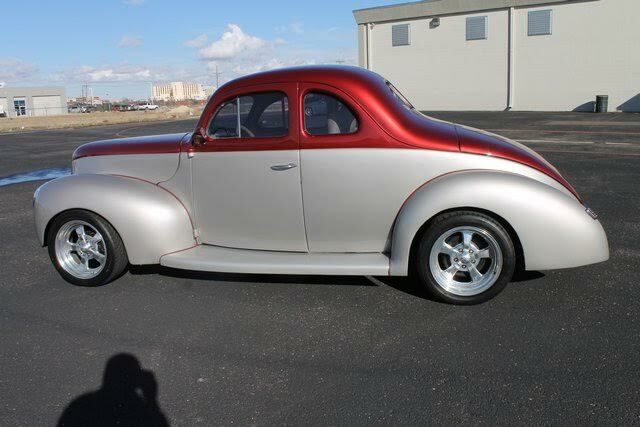 This is an all steel body Ford Coupe with steel boards an fenders. 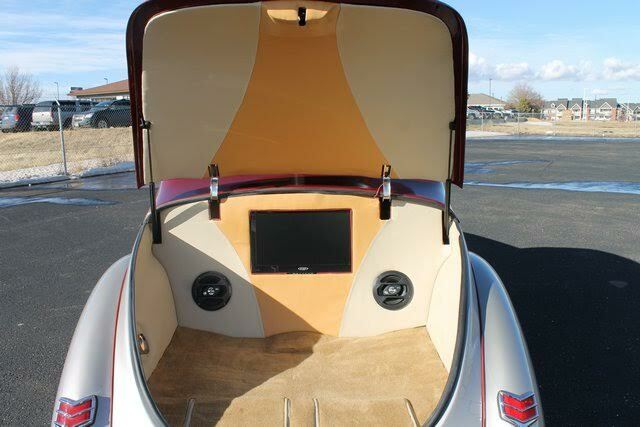 It is professionally built to high quality. 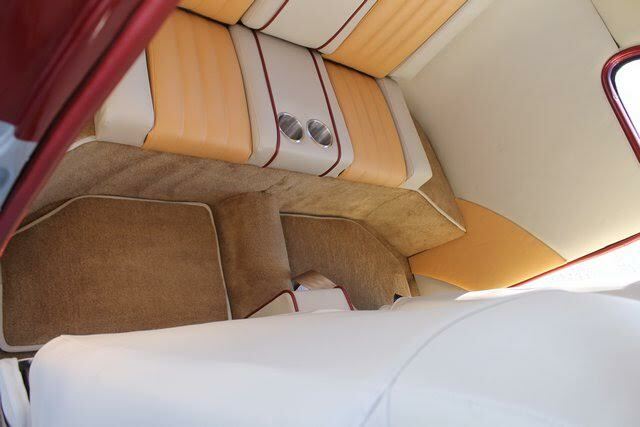 The paint is done in Champagne and Maroon with an unbelievable finish. 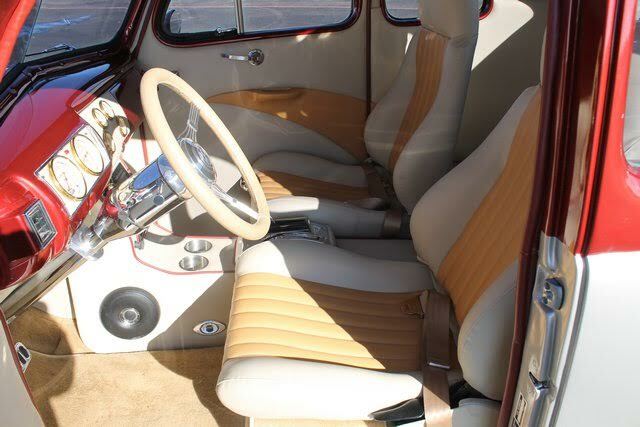 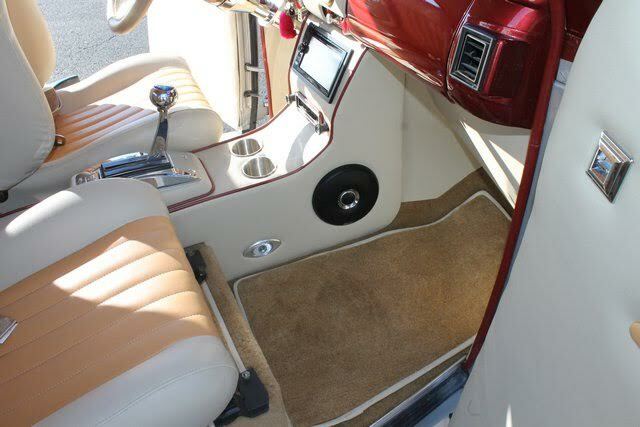 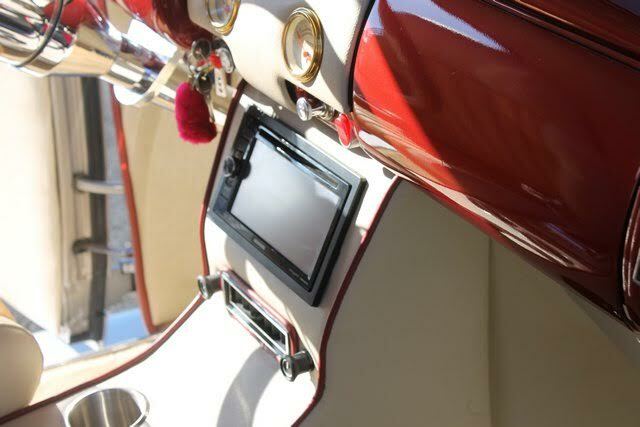 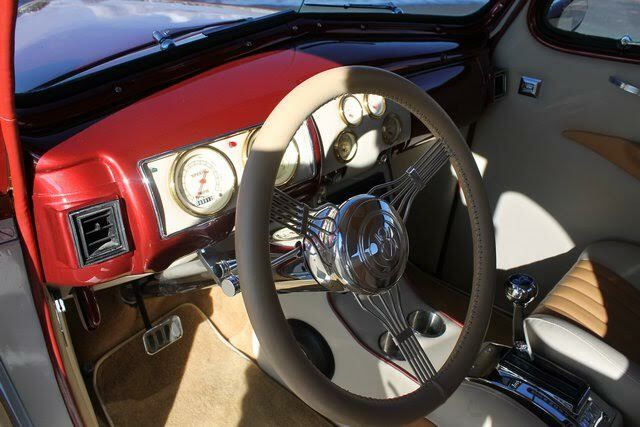 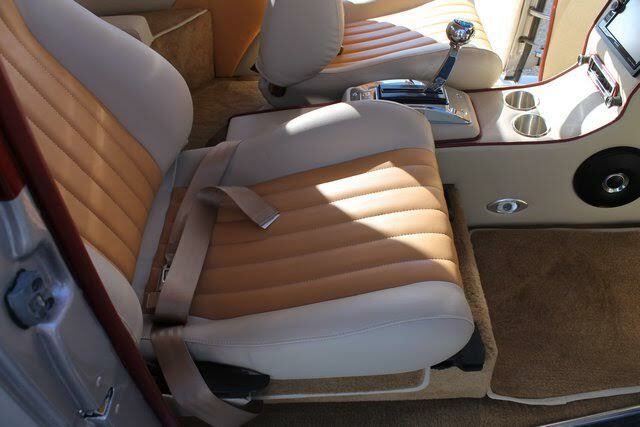 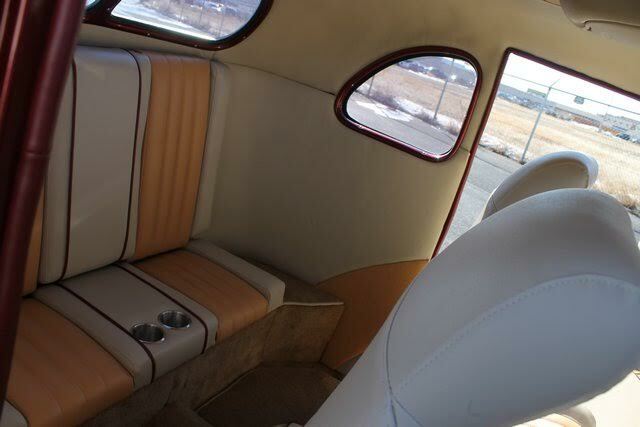 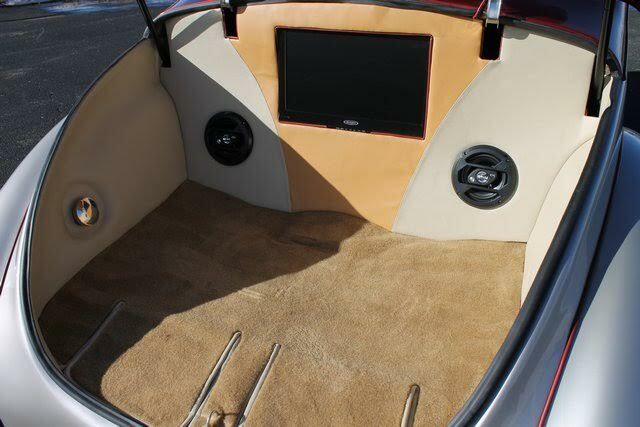 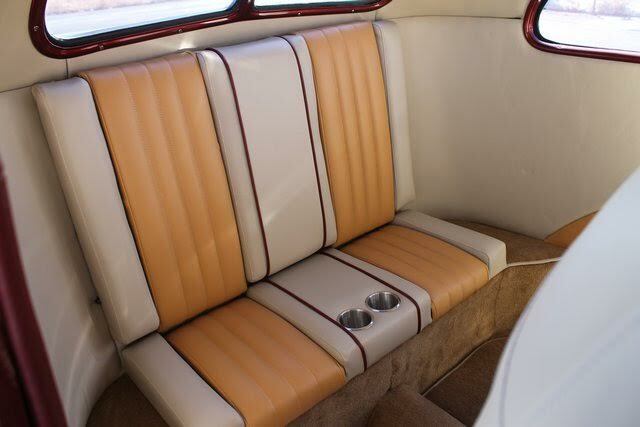 The build consists of a Complete Custom Interior with Fabricated Center Console, Overhead Lighted Console, Ididit Tilt Steering Wheel & Column, Power Windows, Kenwood AM/FM/CD/DVD Full Face Radio w/Speaker sin the Console, Jensen 19″ Flat Screen Color TV w/2 Speakers. 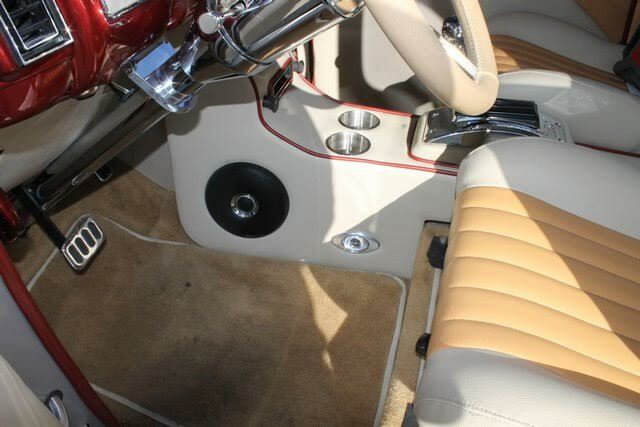 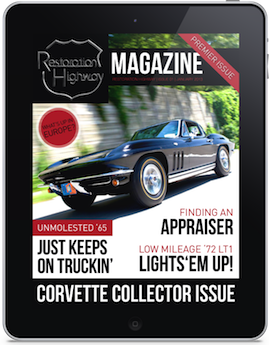 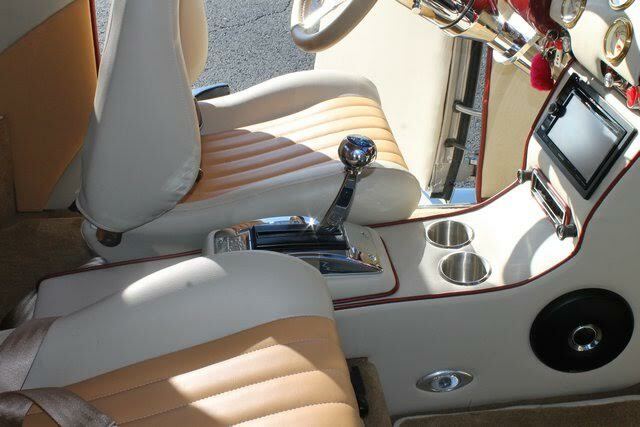 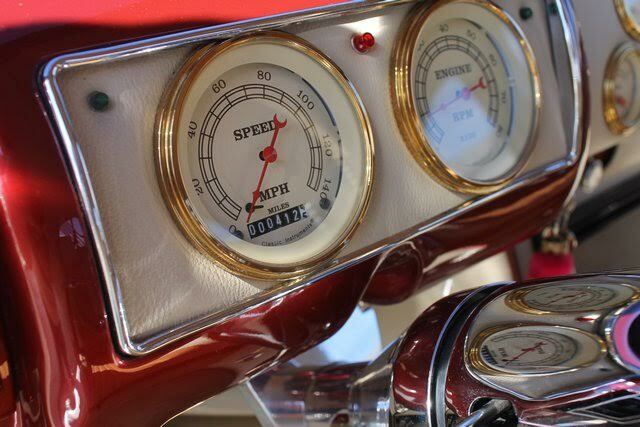 All new Vintage Gold Gauges by Classic Instruments, Quick Silver B&M Shifter, Sound Proofed, Insulated Interior, Corvette Tailpipe Extensions, Power Trunk Release, Fuel Filler relocated to inside the turn, New Billet Industries wheels, and New BF Goodrich tires. 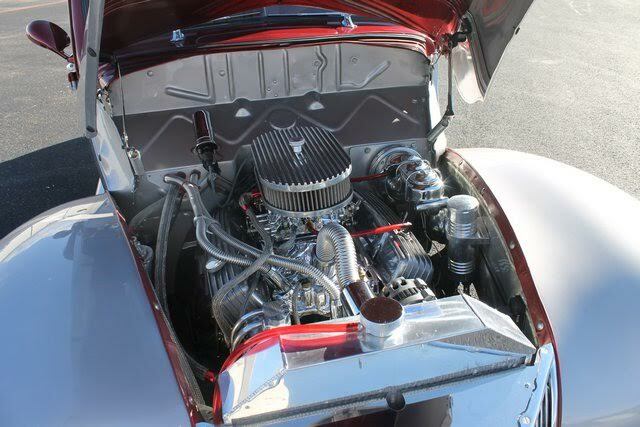 The power train is a rebuild GM 350 V8 with a mild cam completely dressed, a rebuilt Turbo 400 Automatic transmission. 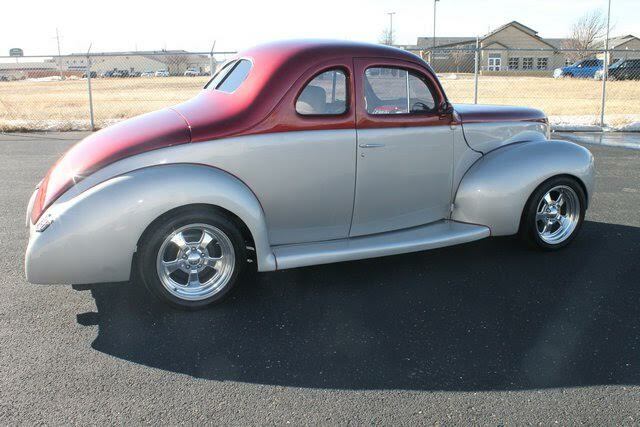 The chassis is no exception built with a Mustang Front end with Power Front Disc Brakes. 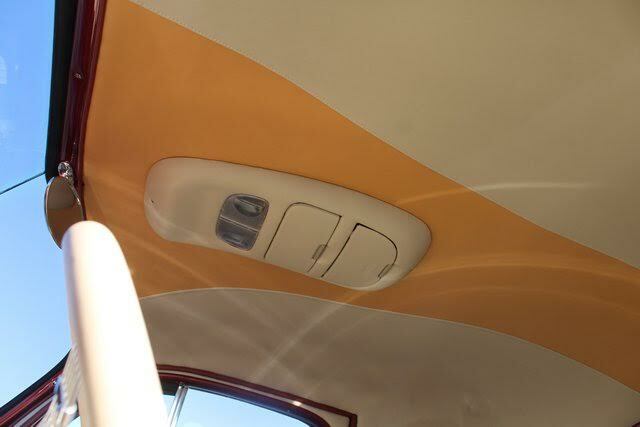 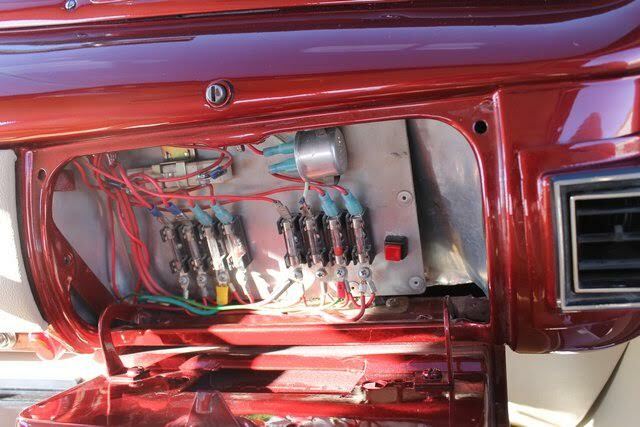 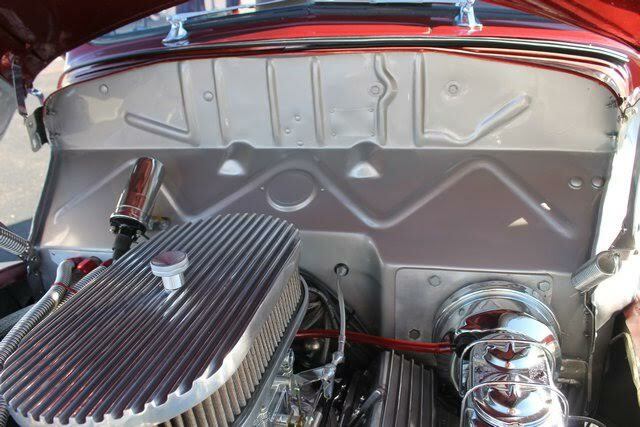 The car is equipped with Billet Serpentine Belt System with power rack and pinion steering, Vintage Heat and Air and the engine is cooled by a AFCO Chrome Desert Cooler Radiator. 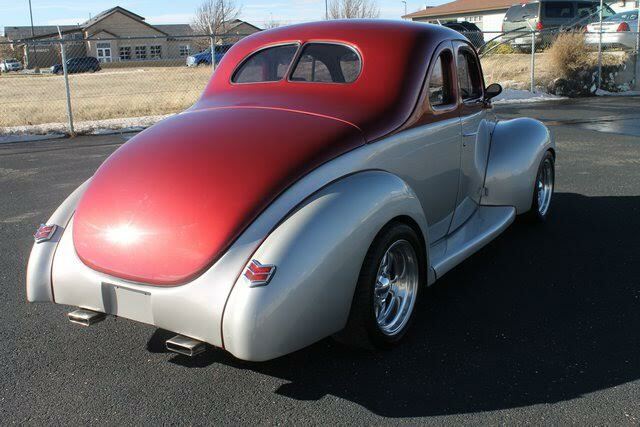 This Coupe was finished 5 years ago and has 400 miles. The car runs and drives great with beautiful curb appeal.